Can’t live without WhatsApp because keeps you connected to all your friends and families? 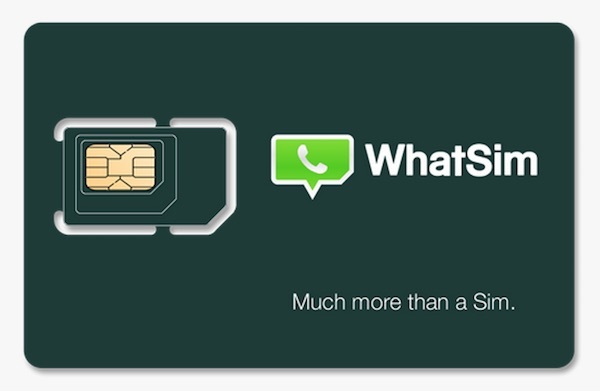 Say hello to “WhatSim”, a SIM card dedicated for WhatsApp and keeps you connected to the chat app anywhere you are in the world (in 150 countries around the world at least) for only €10 a year. However, there’s a catch to it. For only €10 a year, you can stay connected on WhatsApp in 150 countries around the world. You don’t have to scout around for free Wi-Fi just to send a message to your friends, WhatSim has partnered with over 400 operators, and will automatically search for a new provider depending on where you are, so you can stay connected on WhatsApp all the time. The catch? 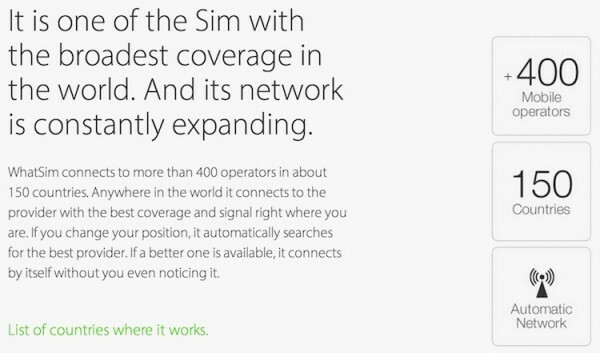 The €10 yearly payment is only applicable for text messages, locations and contacts. Should you wish to send pictures, videos and even audio clips to your friends, you’ll need to buy additional credits – €5 for 1000 credits. How much credit does it take to send a multimedia file? It depends on your zone. WhatSim has four different zones, and sending a photo could take up to 200 credits each (minimum 20 credits for zone 1), while videos ranges from 100 credits to 800 credits, and voice messages ranging from 5 credits to 40 credits each. That’s not all, videos and voice messages are charged for a standard length of 10 seconds, so if you have anything longer, they’re charged in multiples of 10 seconds – that adds up to a lot if you ask me. Fortunately, some of the most popular countries are located in Zone 1, where it’s the cheapest to send multimedia files. Malaysia is located in Zone 1, along with popular countries like France, Hong Kong, Korea, New Zealand, Thailand, United Kingdom, United States and more. It takes 20 credits to send one photo, 100 credits for a 10 second or less video, and 5 credits for one audio clip of 10 seconds or less. WhatSim is founded by an Italian entrepreneur, Manuel Zanella, whi’s also an engineer, founder and CEO of Zeromobile, Italy’s first Global Mobile Operator for low-cost roaming. Interested? WhatSim is now available for purchase online, but you’ll need to pay for a shipping fee of €7.50 for Malaysia. Will you buy a SIM card dedicated for WhatsApp only, and lets you send unlimited text messages to your friends all year long, wherever you are?